Math classes are not everything. Whether you follow Singapore Method or not, you need a lot of practice to be good in math. The problem many parents and teachers of Singapore Math students face is the fact that the method is so specific that it requires special math exercises, which are adjusted to the skills and knowledge of children at different stages of the learning process. 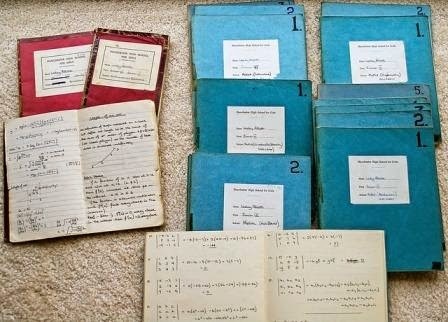 The regular math exercises and study books you have used before might contain exercises and math problems, which were not covered by the Singapore Math Curriculum or, quite contrary, they can be too simple for Singapore Math students. What you need are workbooks and other training resources designed to be used together with Singapore Math textbooks. If you plan to implement one of the most commonly used Singapore Math curricula, the best thing to do is to buy the official materials issued by the publisher of the textbook. If you want to implement Primary Mathematics, the list of available books includes Challenging Word Problems and Extra Practice. You can also get an access to Primary Digital Online – an online platform with useful Singapore Math resources, which can be used in school or at home. If you plan to use Math in Focus, you have a few different books to choose from: Reteach, Enrichment, Extra Practice and Home to School Connections. Houghton Mifflin Harcourt, the publisher of Math in Focus, also offers an access to innovative and useful online resources, such as the eLearning website, interactive whiteboard lessons and online virtual manipulatives. On top of that, your students can also download iPad apps for practicing math, such as Singapore Math Bar Models. What better way to convince your students that practicing math can be fun! Without proper motivation, many students will fail to practice math, even if they are given the best available materials. For some of them these exercises are too simple, for some – too difficult and for others doing more Singapore Math examples is simply too boring. Those students will benefit the most from after school math workshops, which introduce innovative ways of practicing math. These workshops can include activities, such as presenting the examples of everyday applications of math principles, working in groups, solving interesting and complex math problems by using new math aids and methods, etc. Many students enjoy after school programs more than regular math classes, because these workshops are less stressful, more fun and engaging. After school workshops are also a great opportunity to introduce additional issues and concepts, which were not covered during the regular math classes. Hiring an independent Singapore Math expert to run these workshops gives the children a chance to experience different teaching methods and the teachers have the opportunity to participate in classes and observe how more experienced Singapore Math educators work. If your budget does not allow to run more after school programs, encourage children to participate in study groups and use online resources to have more fun practicing math at home.